This Valentine’s Day, forget the love. Let’s just focus on obsession—potentially deadly obsession. 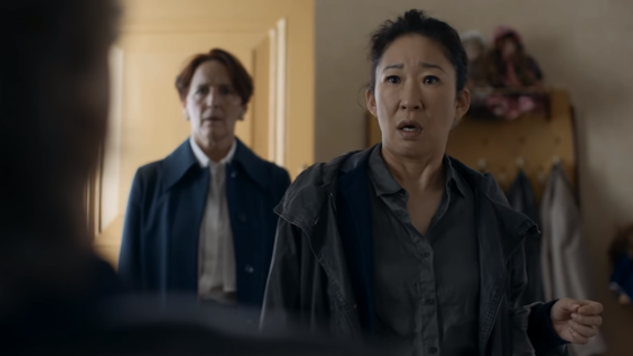 Yep, we’re talking about Killing Eve, the unexpected runaway hit from Fleabag creator Phoebe Waller-Bridge based on Luke Jennings’ Codename Villanelle novella series. The series garnered a number of accolades after its first season, including record ratings and a well-deserved Golden Globe win for Sandra Oh in her bewitching performance as the titular character. BBC America and AMC released the first trailer for the second season Thursday, serving as a perfectly twisted Valentine’s present. Starting up just 30 seconds after the finale ends, the new season promises a continued game of cat-and-mouse between the crafty Villanelle (Jodie Comer) and the unstoppable Eve (Oh) that’ll keep us guessing as to who exactly is the prey or the predator. One thing’s for sure—we’re compelled to keep watching. Season two of Killing Eve premieres on Sunday, April 7, at 8 p.m. ET on BBC America and AMC. Watch the trailer below and revisit Paste’s interview with Oh here.